A sharp fee increase has helped fuel a dramatic drop in the number of immigrants applying to become Canadian citizens, according to immigration advocates. In the first nine months of 2016, there were 56,446 applications filed for citizenship, a decrease of nearly 50 per cent from the same period a year earlier, when 111,993 applications were submitted. The figures are included in a briefing by former Immigration and Citizenship director general Andrew Griffith prepared for the Senate social affairs, science and technology committee, which begins hearings this week on Bill C-6, a law to amend the Citizenship Act. Griffith, an author on immigration issues and fellow at the Canadian Global Affairs Institute, calls it an “alarming” trend that can be linked directly to a steep increase in fees. The processing fee jumped from $100 to $530 in 2014-2015, which amounts to a tripled price tag when the additional $100 “right of citizenship” fee is added. Newcomers face other costs associated with the citizenship process, including language testing, he said. He recommends cutting the processing fee to $300, abolishing the right-of-citizenship fee, and considering a waiver for refugees and low-income immigrants. Griffith’s brief points to a broader pattern of declining naturalization rates. He warns that a growing part of the population may not fully integrate by becoming citizens due to financial or other barriers and that could lead to marginalization. “We’ve always prided ourselves where we have a model where we don’t just encourage immigration, but we encourage immigrants to become citizens so they be fully part of society. They can take part in political discussions, they can vote and do all the things that are part of it,” he said. Bill C-6 reverses reforms brought in by the previous Conservative government and takes steps to streamline and strengthen the integrity of the citizenship process. 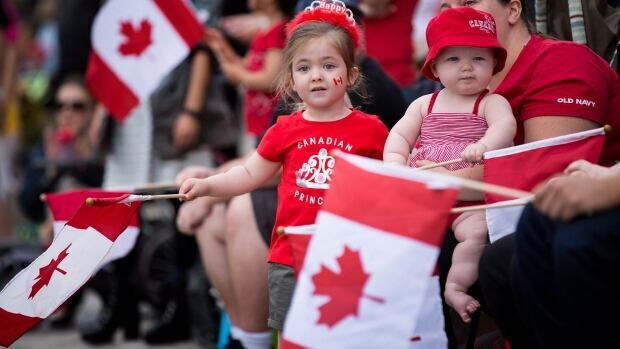 Those include reducing the time permanent residents have to live in Canada to become eligible for citizenship, counting time for work or study in residency requirements, and reducing the language proficiency requirements for younger and older immigrants. But the government does not appear prepared to reverse the fee hike brought in by the Conservatives. Bernie Derible, a spokesman for Immigration Minister Ahmed Hussen, said citizenship fees in Canada are “significantly less” than other comparable countries such as the U.K., Australia and New Zealand. Throughout the cross-country consultations last summer, there was little discussion or concern raised about the fee, he added. Nancy Caron, a spokesperson for Immigration, Refugees and Citizenship Canada, said the extended residency requirement affected the number of applications and that fluctuations in numbers typically happen around changes to citizenship requirements. When a new requirement is announced, there may be a surge of applications in advance of the new requirement coming into force and a corresponding decline afterwards, she said. Fees were increased to reflect increasing costs to process demands. “We continue to monitor the number of citizenship applications received and possible adjustments may be explored as necessary,” she said in an email. Dory Jade, CEO of the Canadian Association of Professional Immigration Consultants, said he has heard from plenty of clients who are delaying citizenship because they can’t afford the fees. “If we want to bring immigrants, especially under a Liberal government which believes in nation builders, making it accessible and easy to become members of your society is a big, big issue,” he said. Jade has met with officials from Immigration, Refugees and Citizenship Canada to propose a way to address the financial burden. He said he was told by officials that the current fees are not cost-recovery, which means they are still financed in part by the tax base despite the increase. But he suggested the government could ease the cost barrier by adopting a tax-like formula based on income, developing a loan program, or capping the total fee for a family. Stephen Green, a Toronto-based immigration lawyer, said he has not heard of the fee being a significant factor in seeking citizenship. He said many of his firm’s clients who don’t currently qualify under the existing law are anxiously awaiting C-6 to become law so they can apply for citizenship. The Senate social affairs committee hearings will be held Wednesday and Thursday this week, with a number of immigration and refugee lawyers and academics scheduled to testify.